BarCamp is an unconference born from the desire for people to share and learn in an open environment. It is an intense event with discussions, demos and interaction from attendees. 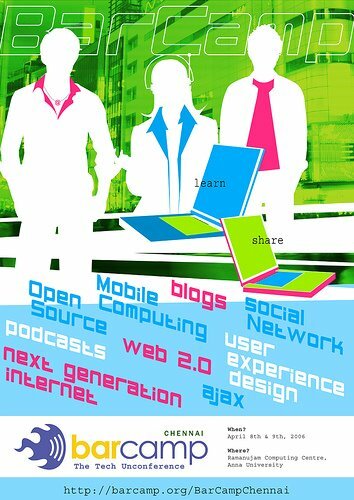 The BarCampChennai focusses on Web 2.0, Social Media and Next Generation Internet.